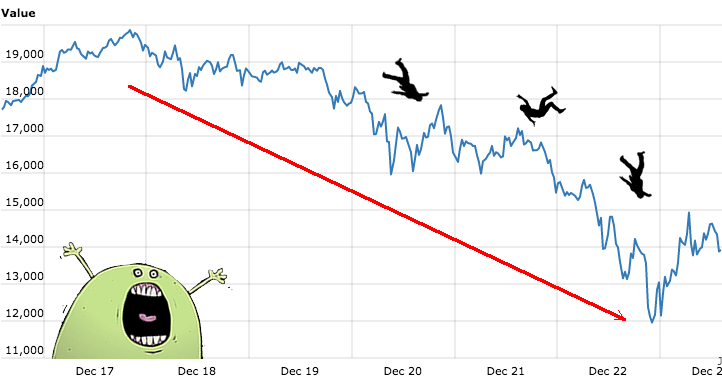 Other cryptocurrencies also getting hammered. Where do you feel its headed, and when do you cut your losses? Most people selling now were in it for the quick cash and are bailing now. Crypto is the future and I think this is obvious. This “crash” makes no sense other than panic selling or massive shorting by banks to induce panic. We know they do this. It’s their M.O. When to get out? That depends on how strong your stomach is. It can go back up just as fast as it comes down. We just saw this happen a couple weeks ago. I don’t think normal indicators apply to cryptos - YET. We know now that the big dog investors have recently gotten their fingers on it and in my opinion are doing everything they can to discredit it. Bit of a recovery, back to $13000 now. Yeah, that 10,000 range was a great buy time. Huge support there. Then again, I thought 15,000 was huge support. 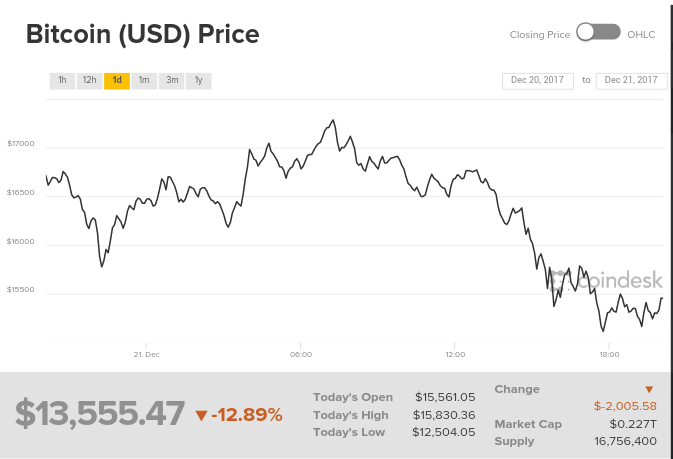 Bitcoin Recently Crashed. 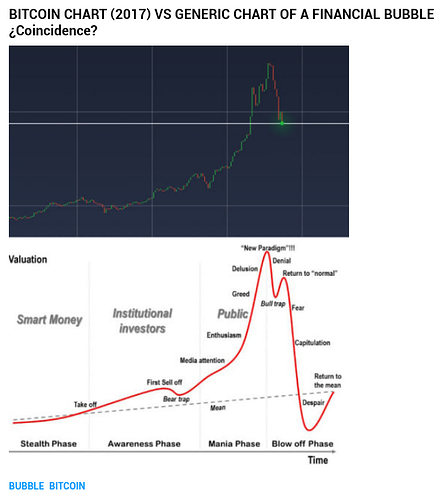 Here’s Why You Shouldn’t Panic. 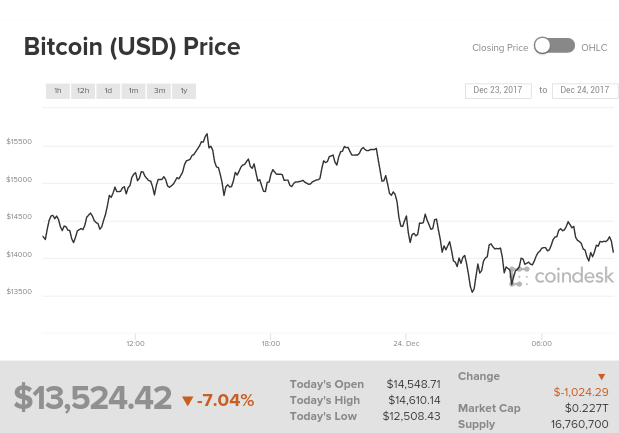 Lots of volatility in bitcoin and the rest of the crypto market during the past 24 hours.“What the heck is happening? !” you might be wondering. I hadn’t considered "The most reasonable cause is due to what happened to Youbit. The South Korean exchange was hacked earlier this week. 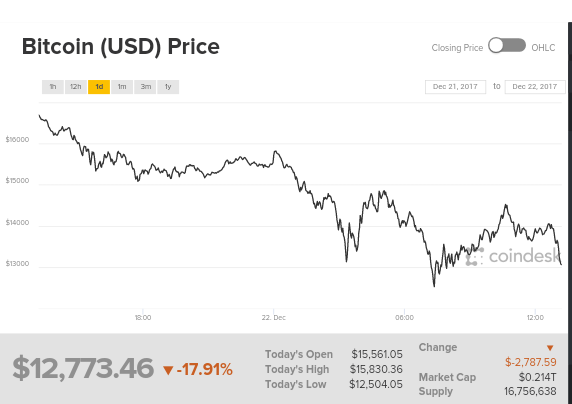 It just suffered a fall, but I think it will increase again in January and it will not be until February where we will know with certainty if it is a bubble. Why do you say that, Adam? Yup, into a bit of a couple. BTC, ETH, LTC, EOS, XRP, a little STR/XLM. Got some BCC/BTG recently from the hardforks a couple months back. Started buying in Feb of this year, and am basically using profits from BTC to diversify my holdings. I tend to put my money behind the tech that make sense to me, and teams/devs that have history in the industry. There’s plenty of cryptos out there to get excited about. We’ll just have to see about execution of their plans and adoption by existing businesses. It’s definitely the wild wild west out there! I noticed in another thread a post about spending bitcoins ( I think it was Australia-centred), so after a quick Google I found this for UK bitcoin owners who want to use theirs for shopping. Got Bitcoin burning a hole in your pocket? No problem! With one clever twist it’s possible to spend Bitcoin at hundreds of high street retailers. You don’t actually spend the Bitcoins in Tesco etc, you just redeem them for shopping vouchers which can then be spent. Which begs the question, why use this third-party at all when you can just cash them in yourself (probably at a better rate) then spend your money the old fashioned way? Hi Dennis, good to see you’re still around. Are you only in bitcoin, or are you in any others as well?